“Reclusive” is one way to put it; “pseudononymous” is another. Tananka’s 2011 set of thoroughly modern spaceage bachelor pad music Jet Set Siempre No. 1 remains one of my all-time favorite Buried Treasures unearthed for Sound Opinions, and I listed it among the best records of that year in this space. I still have no clue about who this artist really is; Sound Ops producers Jason and Robin do, but they ain’t telling. These sorts of lawsuits are a dime a dozen in the music world, but there’s no denying that it’s particularly difficult to tell these two songs apart, or that Tanaka got there first. Here’s hoping Clive takes Nicki to the cleaners. Also pretty darn amusing is this video clip, shared with me by reader and local musician Terry Keating, of a super-Bonham fan with his own YouTube channel under the name Bonzoleum devoted to in-depth examinations of the rhythms of Led Zeppelin’s drum god pretty. He pretty much loses it because he’s in the presence of an actual Ludwig snare drum that Bonzo once owned… along with a fez and a (possibly never washed) T-shirt. I realize I am one of only a dozen or so people, drummers all, who will appreciate this clip. But appreciate it I certainly did. Shifting from silliness to worthy causes, my good pal Anders Lindall asked me to help spread the word about an event at the Hideout on Monday (Sept. 16) bringing some of the coolest people in the music and food communities together to support the long-overdue legislation in Illinois granting gay and lesbian couples the freedom to marry when it comes up for the next round of a stupidly difficult fight in late October or early November. “Food and Friends Fundraiser for Freedom” will feature guest DJs (including Steve Albini and Rob Miller of Bloodshot Records), a bevy of baked goods from the likes of Bittersweet Pastry and Mindy’s Hot Chocolate, a silent auction of various tasty treats and an electric guitar (purchased at the Guitar Center on Halsted, which recently became the first in the country to unionize—who knew???) signed by the coolest artists to perform at last weekend’s Hideout Block Party, and much more. The party starts at 7 p.m., and more info and tickets ($10 to $50) can be had here. 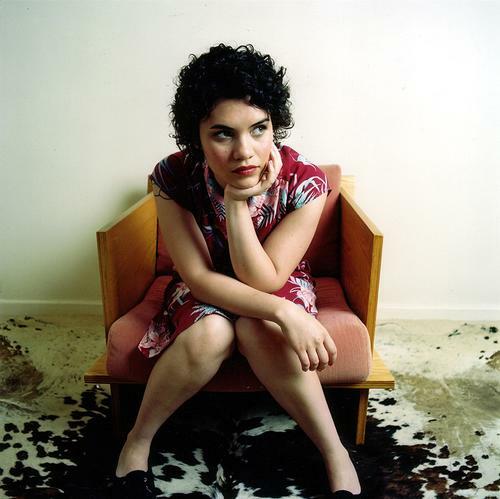 Good cause number two: Sydney-by-way-of-Chicago singer and songwriter Via Tania has launched an Indiegogo campaign to raise the money to finish the album that she started a while back with the Tomorrow Music Orchestra before the birth of her child and her move down under. SO WHY SHOULD I DONATE? I’M BROKE! I get it, I am, too! But if you can’t donate, perhaps you could help spread the word about the project? Someone you know who isn’t broke might just want to help out and then it would be like you donated it yourself . . . right? P.S. A percentage of the proceeds after the goal is reached will be donated to the MUGSU.org.au, a Bangledesh textile factory collapse charity. 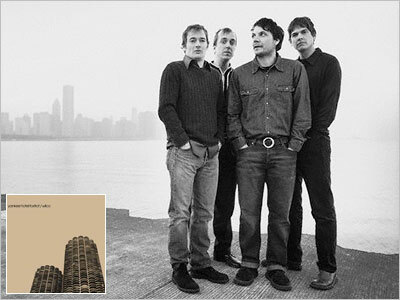 Finally, on a much more somber note and in recognition of our generation’s “day that will live in infamy,” here is the episode of Sound Opinions that aired live on Sept. 18, 2001, featuring some unbelievably emotional performances by Wilco of songs from the then-still-to-be-released Yankee Hotel Foxtrot, which suddenly took on new worlds of meaning a week after 9/11. That was true for all of us, Matt, and it still is. Listen again or anew for yourself on SoundCloud.